ISLAMABAD: State owned gas utilities have sought 14 to 124 per cent hike in the gas tariff from the Oil and Gas Regulatory Authority (Ogra) which if approved would be effective in the country with the start of New Year till June 2014. Copies of petitions, exclusively available with DawnNews, submitted by Sui Sui Northern Gas Pipelines Limited (SNGPL) and Sui Southern Gas Company Limited (SSGCL) with regulatory authority (Ogra) show that both gas giants sought increase in the gas tariff due to decrease in the value of Pak rupees in comparison with US dollar and on account of increase in well head gas price and to meet expenses as well. The SNGPL while seeking 124pc increase in the prescribed gas price has sought Rs131.98 million British thermal unit (mmbtu) hike for all categories of gas consumers from the regulator. For first slab of domestic consumers, the gas utility has pleaded to jack up price from Rs106.14mmbtu and fix it at Rs238.12mmbtu and increase the gas price from Rs212.28mmbtu to Rs344.26mmbtu for second slab. The company has also requested to increase the gas price from Rs530.69mmbtu to Rs662.67mmbtu for gas consumers of third slab. Similarly, it has also asked to jack up the price from Rs530.69mmbtu to Rs662.67mmbtu for commercial consumers, while from Rs531.39mmbtu to Rs663.37mmbtu for special commercial consumers (Roti Tandoor) and from Rs438.14mmbtu to Rs570.12mmbtu for ice factories and for general industry. The SNGPL has also applied the Ogra to give increase in the gas price and jack it up from Rs577.11mmbtu and set it at Rs709.09mmbtu for compressed natural gas (CNG) stations, from Rs658.60mmbtu to Rs790.58mmbtu for cement factories, from Rs102.94mmbtu to Rs234.92mmbtu for feed stock of fertiliser. Also sought is an increase in the gas tariff of fertilizer plants over usage of gas for the purpose of power production from Rs438.14mmbtu and fix it at Rs570.12mmbtu as well as increasing the gas tariff from Rs438.14mmbtu and fix it at Rs570.12mmbtu for Water and Power Development Authority (WAPDA), Independent Power Producers (IPPs) and Captive Power Plants (CPPs). The SSGCL pleaded the regulator to maintain the gas tariff at current level for gas consumers of domestic, religious/holy places, hostels, special consumers (Roti Tandoor), Fauji Fertiliser. The gas utility under cross subsidy mechanism has requested to approve 14pc increase with Rs61.45mmbtu in the gas tariff for rest of the gas consumers of SSGCL. The gas SSGCL has also requested the regulator to jack up gas tariff from Rs434.84mmbtu and set it at Rs496.29mmbtu for the consumers categories of commercial, ice factories, industrial, CNG stations, CPPs, cement factories, Pakistan Steel Mills (PSM), Karcahi Electric Supply Company (KESC) and IPPs. Interestingly, both gas utilities in their separate requests have pleaded Ogra to allow collection from the gas consumers by 7pc on account of stolen gas and distribution losses (Unaccounted for Gas). As per petitions, the SNGPL despite getting the approval from the regulator to collect 7 percent from the consumers under head UFG will however have to face heavy loss worth around Rs6.78billion while the SSGCL will have to bear Rs2.36billion. The SNGPL in its plea has pleaded that its income during running fiscal year (FY) 2013-14 will remain at Rs235.46billion and its financial shortfall will stay at Rs39.69billion. Similarly, the SSGCL will totally earn income worth Rs158.75billion against the estimated expenditure of Rs172.92billion while it will require Rs278million worth subsidy for Liquefied Petroleum Gas (LPG) Air Mix Projects. In this way, the gas utility will have to face a total shortfall of Rs14.44billion during ongoing fiscal year. 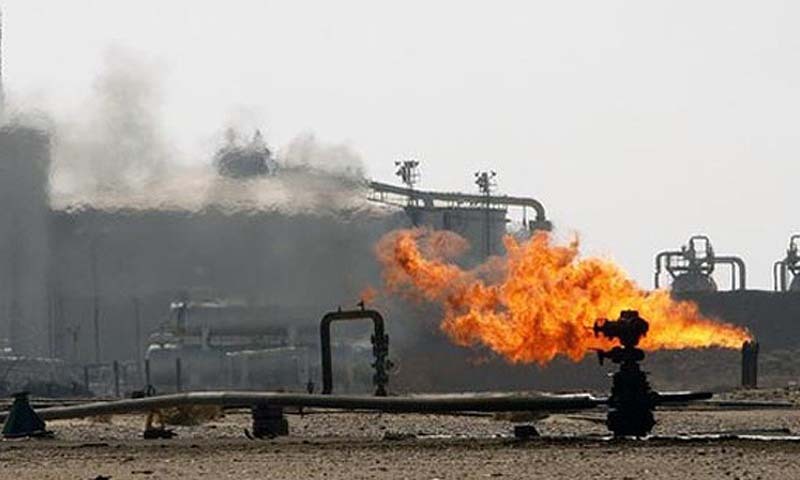 Official sources at ministry of petroleum and natural resources said that Ogra would approve increase in gas tariff over the separate applications of SNGPL and SSGCL after conducting public hearings in coming November. As per Ogra Ordinance, Ogra will dispatch its decision of increase in gas tariff to the petroleum ministry and after that a review on cross subsidy will be made after the consultation of Prime Minister, they added. It is important here to note that the SNGPL has decided to give 500,000 new gas connections to domestic consumers of its domain from January to June 2014 despite growing gas crisis in the country. And, SNGPL will require Rs4.984billion finances for above new domestic gas connection while Ogra had already given its approval to the SNGPL to install 250,000 new domestic gas connections during FY 2013-14.